Montana voters will be deciding on five ballot measures during this November election. We will be reporting on each of them over the next few weeks, starting with the three measures put up by the 2011 Legislature—the legislative referenda. Putting a legislative referendum on the ballot—it’s a strategy, a tool at the disposal of state lawmakers. The legislature can take a bill working its way through the traditional bill process and put it on a different track—making it a referendum with a simple majority. Why would legislators want to do that, remove their own power to decide on a bill and give it to the people? Well, by doing so you bypass the executive branch. Democratic Governor Brian Schweitzer set a state record of 78 vetoes in 2011. Schweitzer made national headlines for setting these bills aflame with a red hot veto branding iron. The Republican dominated House and Senate chose 5 bills to escape that iron—to become legislative referenda. Republicans hope the bills will have a better chance of becoming law this way. The Montana Supreme Court tossed out two of them—leaving three. The first one, LR 120 would require parental notification prior to abortion for a minor under the age of 16. That’s why Milburn points out this measure does not directly take on the ethics of abortion. He says it’s about responsibility. “You can’t give an aspirin in school without calling up the parent and saying can we give this person an aspirin. You can’t go get your ears pierced as a minor without calling up the parents. But yet you can go get an abortion,” he said. Milburn calls this a compromise ensuring parents are involved in what is often a very emotionally difficult decision. A physician would need to notify the parent or legal guardian at least 48 hours prior to the procedure. This requirement would be dropped if there’s a medical emergency, if it’s waived by a youth court or if it’s waived by the parents themselves. Milburn notes the measure does not go so far as to require parental consent for an abortion—just notification. “I don’t think there’s a distinction at all,” said Executive Director of the nonprofit NARAL Pro-Choice Montana, Julianna Crowley. She says either way, consent or notification, the parent is still being told, and that can be precisely the problem. “Not all young people come from healthy families and it’s not the government’s role to mandate healthy family communication where it does not exist,” Crowley said. Crowley says the vast majority of young girls do consult with their parents before considering abortion. Those that do not, she says, may be hiding it from their parents for their own safety. She wants that preserved and she does not fully buy Milburn’s argument that this is not about the wider abortion issue. 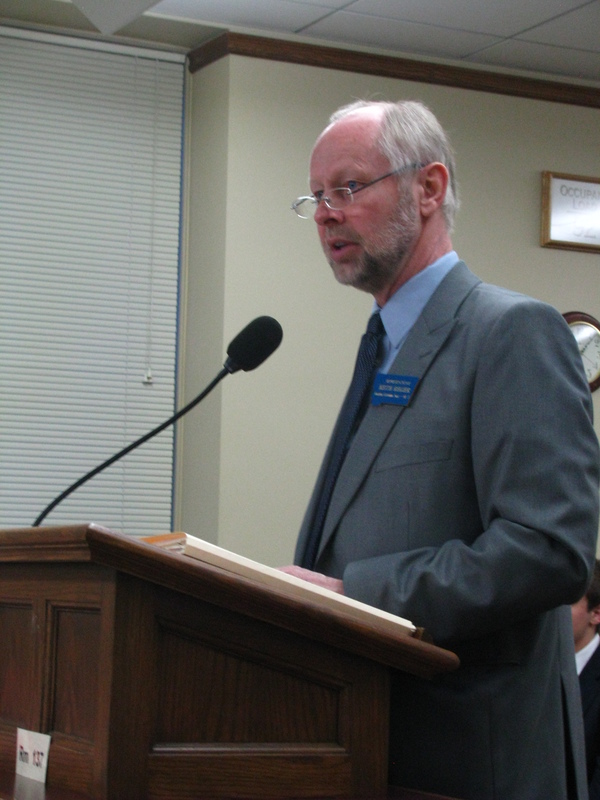 “It is one way that anti-choice politicians are chipping away at reproductive rights and the right to privacy as instilled in the Montana Constitution,” Crowley said. Under LR 120, someone who performs an abortion without giving prior notification is subject to a $500 dollar fine and or 6 months in jail. The measure would also add a legal penalty for anyone who coerces a minor to have an abortion—a one thousand dollar fine and or one year in jail.